TransportiCA: Questions for November's Book Club Contest: "How to Study Public Life" and "Cities for People"
Questions for November's Book Club Contest: "How to Study Public Life" and "Cities for People"
For the November 2018 Book Club selection, TransportiCA has chosen both How to Study Public Life, by Jan Gehl and Dr. Birgitte Bundesen Scarre, and Gehl's Cities for People (both Island Press). 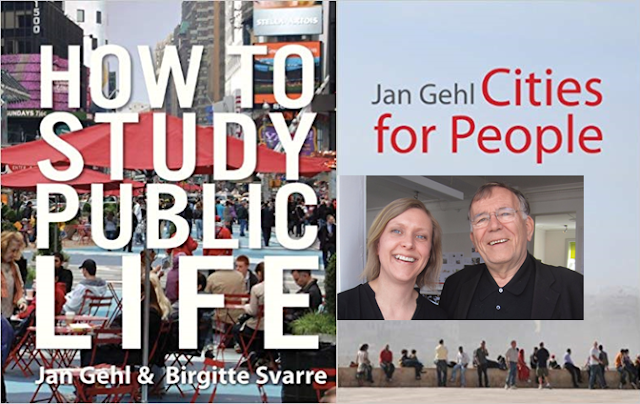 Published in October 2013, How to Study Public Life emphasizes urban planning’s need to return to a focus of capturing “life in a city,” sharing over 50 years of urban design experiences between Gehl and Svarre. Released in September 2010, Cities for People has become a pinnacle read for urban planning scholars and practitioners, emphasizing a human-centered approach, forgoing the traditional auto-focused city design. November is the first month TransportiCA has featured two books, as both publications have become fundamental in human-centric planning and design, and are included on many "must read" lists. 1) Dr. Svarre received her masters and doctorate at school's in what city? 2) Jan Gehl is associated as the biggest influence to what global mobility conference? 3) Fill in the blank, regarding a phrase from How to Study Public Life: "The original goal is still the goal today: to recapture city life as an _____ _____ _____." No purchase is necessary, as questions are not taken directly from the publication, but from respective technical information and publicity. To send in your response, submit via TransportiCA's "Contact Form" on the front-page (bottom left), sending your name, email address and answers. The deadline for submission is 23:59, Friday, 30 November 2018.